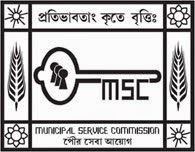 West Bengal Municipal Service Corporation (WBMSC) has released an official notification for the post of Staff Nurse, Assistant Engineer (Civil), Sub-Assistant Engineer (Civil) and School Inspector (Bengali Medium) in Kolkata Municipal Corporation ( KMC) in 2015. To get further details read out the KMC recruitment 2015 notification. Age Limit : Candidates should be aged between 18 to 42 years for the post of Staff Nurse, Assistant Engineer Civil, Sub Assistant Engineer Civil & 18 to 37 years for the post of School Inspector. 1. Staff Nurse : Nursing and Midwifery Certificate from Nursing Council of West Bengal or its equivalent. 2. Assistant Engineer Civil : Degree in Civil Engineering and ‘O’ level certificate in Computer application approved by AICTE. 3. Sub Assistant Engineer Civil : Degree in Civil Engineering and One year’s practical Training or studying or research or Practical engineering experience in the Municipal Engineering work and knowledge of computer. 4. School Inspector : Masters’ Degree in any discipline and (B.Ed. )From a recognized University or equivalent (N.C.T.E. approved) and knowledge of Bengali spoken and written. Application fees : General & OBC candidates have to pay Rs. 150 for Application fees with processing charge Rs. 50/ & SC and ST, PWD candidates have to pay only processing charge Rs. 50. through online or offline mode of transaction. How to apply : Eligible and interested candidates may apply through online mode of application. There is no other mode of application will be accepted. 0 comments for " KMC Staff Nurse & Engineer Recruitment 2015 Nottification "